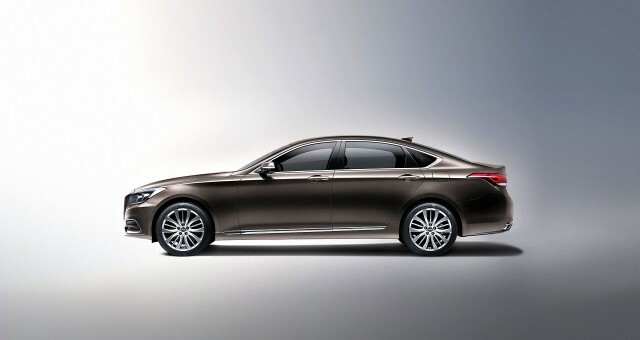 Hyundai's newly separated Genesis luxury brand may add electric cars to its lineup in the near future. 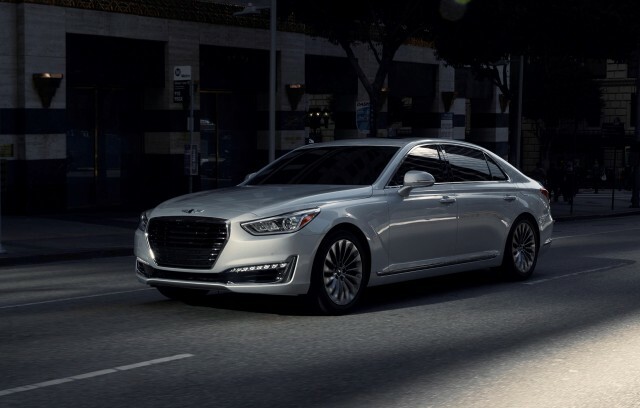 The Korean carmaker previously sold the Genesis and Equus luxury sedans under its own brand name, but now feels a separate luxury brand is warranted. The brand's new leader believes electric cars will be an important part of its future product strategy. "I think full electric cars will be the future in the auto industry," Genesis boss Manfred Fitzgerald told Reuters and other media on the sidelines of the recent Busan Auto Show in South Korea. Fitzgerald said it is "very, very obvious" that an electric car will be part of Genesis' future product plans. However, he didn't provide any specific details on that first Genesis electric car, or when it would launch. As with its own brand and Kia, Hyundai appears to be trying as many green powertrain options as possible for Genesis. Hyundai Motor America CEO Dave Zuchowski said last month that Genesis will get plug-in hybrids, followed by hydrogen fuel-cell models. In Busan, Hyundai also announced that the Genesis G80 sedan will be offered with a diesel engine in certain markets. The G80 is an updated and re-badged version of the outgoing Hyundai Genesis. It's joined in the lineup by the larger G90; a smaller G70 sedan and a pair of crossovers are reportedly in the cards as well. Adding battery-electric, plug-in hybrid, or hydrogen fuel-cell models—or a combination of all three—to the Genesis lineup should help Hyundai meet its ambitious green-car goal. The company wants to sell more green cars than any firm except Toyota by 2020. To do that, it has released a flurry of hybrid, plug-in hybrid, and battery-electric models for both the Hyundai and Kia brands, as well as the low-volume Hyundai Tucson Fuel Cell crossover. Perhaps the most significant is the 2017 Hyundai Ioniq, the first car in the world to be offered with hybrid, battery-electric, and plug-in hybrid powertrains. 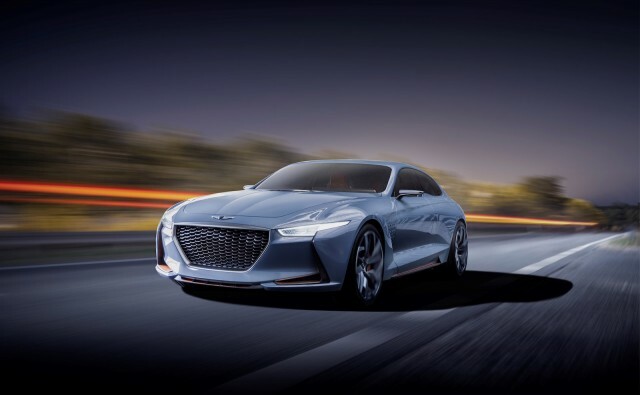 Genesis specifically may need a contingent of green models to compete with other luxury brands. Audi, BMW, Mercedes-Benz, and Volvo are in the midst of launching multiple plug-in hybrid models, and most have at least one new battery-electric model under development as well. The next-generation Lexus LS luxury sedan may also get a hydrogen fuel-cell variant sometime around 2020.